Abatement Solutions Inc. offers mold treatment services that can rid any indoor environment of dangerous mold contamination. 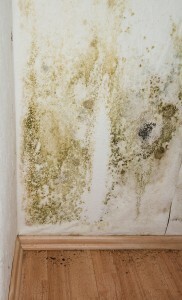 If you suspect you have a mold problem in your Atlanta, Georgia, home or business, let our expert team assess your property and identify the location and extent of the mold growth. Our Certified Mold Remediation Contractors can then recommend a specialized mold treatment based on the unique conditions of any hazardous mold growth we find, and we will execute the most effective, industry-approved techniques to eliminate the mold problem in your home or business. Remove the moisture that has allowed the mold to grow – Whether the mold has developed due to water from a roof leak, plumbing leak, flooding, high humidity, or another source, we will extract whatever moisture has allowed the mold to grow. As a full-service mold treatment company, we can also rebuild some of the damaged surfaces that have allowed moisture to enter your Atlanta, GA, home or business. Contain the mold and remove mold-contaminated materials – We’ll set up containment barriers as needed to quarantine the mold problem. While we work to clean the mold, we’ll keep the mold-infected area under negative pressure and filter mold spores out of the air using an air scrubber with a HEPA filter. Rid infected surfaces of dangerous pathogens – We will use EPA-registered disinfectants to remove the mold and clean the places where it had grown. One of the mold treatment solutions we use is powerful enough to be used as a hospital disinfectant – it has 160 kill claims, which means it will destroy a broad array of dangerous pathogens to support a sanitary environment. We will also apply a special protective coating to surfaces that face the greatest risk of mold growth, and we back this preventative service with a strong 10-year warranty for your peace of mind. To learn more about our mold treatment services, contact Abatement Solutions today. We proudly serve residential and commercial customers in the Atlanta, GA, area.